Even though the point of the iPad Mini was to make a budget Apple seven inch tablet, it seems some want to pay a good price for LTE to be fitted into their tablet, and the wait for this is only a few more days. Apple have been sending out emails to customers that have pre-ordered the LTE version of the iPad Mini, notifying them that it will be available in the coming days. The wait hasn’t been that long and considering the amount of iPad Mini’s shipped, we are glad to see Apple are keeping on top of it. TheiPad Miniwas revealed at a special event consisting of an iBooks update, a new iMac collection and the 13″ retina MacBook Pro. The head of the event was the iPad Mini, which had been the subject of a huge rumour and question mill before being released. iPad Mini was seen as a cheaper budget model of the iPad, with the same specs as the iPad 2 in many respects. The only problem was that people believed Apple were looking to target the market Nexus 7 and Kindle Fire HD were in, but they raised the price just slightly. Starting at $459 for 16GB of storage, the iPad Mini LTE version isn’t the budget model people have been buying – it is the one for people that genuinely like seven inch tablets more than ten inch and want a very capable device. While Kindle Fire HD has pushed the bar, it still isn’t as well structured or stocked with pure-tablet apps to beat the iPad Mini. The iPad Mini is out of stock for two weeks on the website after a huge amount of pre-orders. 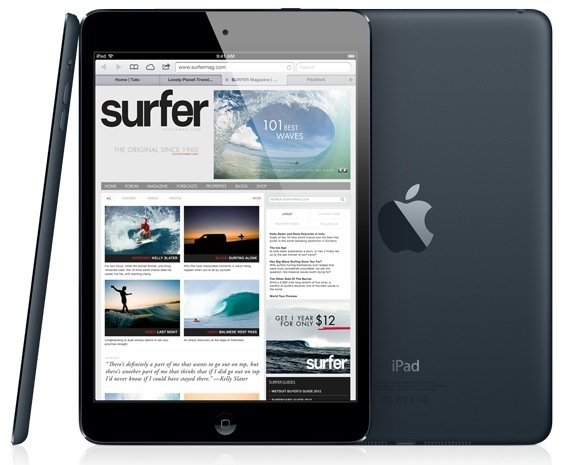 Analysts believe that there may be around forty million iPad Mini’s sold before 2013 begins with the Christmas season.